Imagine if even though you don’t have perfect 20/20 vision, you could still see perfectly throughout the day without using contacts or glasses. Sounds like the beginning of a gimmick or hoax science, but in fact, this is actually possible. Ophthalmologists are now able to correct eyes in a similar way to orthodontists straightening teeth. Dental braces are now relatively inexpensive, the pain isn’t intolerable, it’s a common process, and as long as your teeth aren’t too bad, no surgery is required. In the field of orthokeratology (nicknamed ortho-k or OK), doctors can prescribe contacts that will work at night to gently reshape the cornea until it fits the shape of the contact, almost like a retainer for eyes. The wearer sleeps soundly through the whole process. It works like this; the contacts will apply a small amount of pressure to the cornea that causes it to eventually form to the shape of the contacts. As the cornea shape changes, so should the lens prescriptions, and it is up to the discretion of the eye doctor how frequently to change this prescription. The eventual results allow the user to see clearly without using contacts or glasses during the day. But not only that, Dr. Wu Yunyan of Beijing United Family Hospital said, “Orthokeratology lenses (OK lenses) can slow down the progression of myopia (nearsightedness) by 50 percent when compared to children who wear spectacles.” By Chinese law, Children should be 8 years old at least, though Dr. Tang Yan, of Beijing Aier Intech Eye Hospital, and her colleague, Dr. Fan Chunlie, have concerns that this age may also be too young. For adults under 40 years of age, it can reverse the effects of myopia and is recommended for those who have up to a -5 myopia or -1.5 astigmatisms. In the future, the Chinese field is expected to include “collagen cross-linking technology” which would allow users to wear the contacts a few times throughout the year rather than every night or several times a week, explained Dr. Tang. Though ortho-K has been practiced privately and experimentally in the US, with recent FDA approvals of the contact lenses used in practice, ortho-K has been administered for nearly ten years in China. “According to incomplete statistics, China has seen an annual increase in orthokeratology from 10 to 300 thousand per year, with the growth rate being around 40 percent per year. In 2015, national institutions fit about 800 thousand people, and the current count is 2 million people who wear OK lenses in China,” Dr. Fan said. With all of this in mind, we still had a few questions. 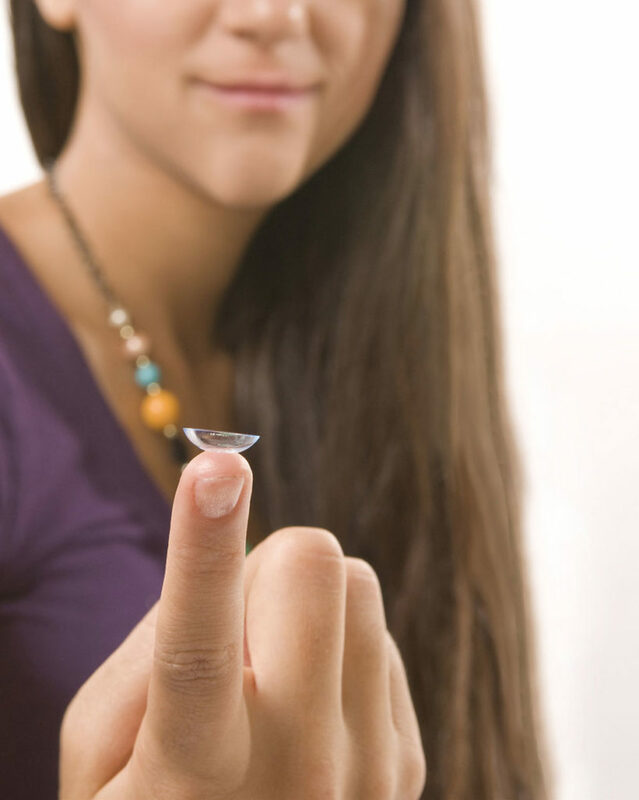 “OK lenses are more uncomfortable compared to soft contact lens because they are rigid gas permeable contact lenses. The material of an OK lens is more like that of hard contacts of the early 2000’s. But since they are more gas permeable and anti-protein than traditional soft contact lenses, they are safer to wear at night.” Dr. Wu said. “Children will feel a strange body sensation, but they should feel comfortable with the contacts after a week.” Dr. Tang said. Who should not be recommended for this? Fan explained that certain eye diseases like cataracts and glaucoma would prevent patients from being able to use OK lenses. There also may be hesitation for those with “acute sinusitis, severe diabetes, rheumatoid arthritis, and other collagen and neuropathy diseases.” The solution also may cause an allergic reaction in some. Children who are unable to take care of themselves, who have poor personal hygiene or poor compliance with medical instructions, should not be considered for OK lenses. Can pregnant women wear OK lenses? “The eyeball during pregnancy will change a little, and they will change back after pregnancy, so OK lenses are not suitable for this situation. We also do not suggest pregnant women wear OK lenses, because if they end up developing an eye infection, it is very difficult for them to use eye drops. The drops may hurt the fetus.” Dr. Wu said. “Eye infection. Patients should pay special attention to the proper insertion and removal of OK lens and follow appropriate hygiene care procedures to avoid infection. If parents find that their child has redness of the eyes, tearing, or photophobia, then an eye doctor should be seen immediately.” Dr. Wu said. Prices range per person, per age range, and per package, but typically the cost is less expensive than Lasik eye surgery. To find out more information, call the hospitals directly to make an appointment. Dr. Tang Yan graduated from Wenzhou Medical College. She completed research in corneal contact lenses for two years at Peking University Ophthalmology Research Center, and five years of study in ophthalmology surgery at Fukang Tongren Ophthalmic Hospital Clinic. 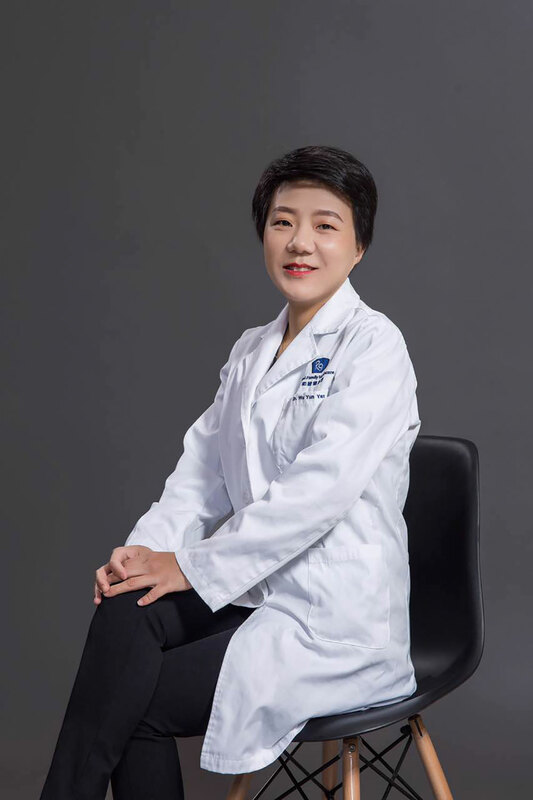 Currently at Beijing United Family Hospital, Dr. Wu Yunyan graduated from Capital University, receiving her degree in clinical medicine in 1998. She has been an ophthalmologist almost 20 years and speaks both English and Mandarin. Dr. Wu has previously worked at Sixth Hospital in Beijing and Beijing Intech Eye Hospital. Dr. Fan Chunlie is the Director of the Optometry Center at Beijing Aier Intech Eye Hospital. Dr. Fan graduated from Chinese Medical University and is experienced in the diagnosis and treatment of pediatric diseases and refractive errors. 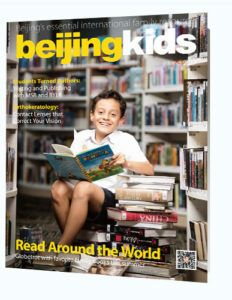 This article originally appeared on p 18-19 of beijingkids June 2017 issue.